November 25 0300 - They are not far from Port Douglas and I think they should arrive before their sunset. Those that have made donations since they left, they will take care of those and call will be posted once they are back home and catch up on thing. All donations were very much appreciated to help this expedition happen. November 24 0245 - The group has all the equipment loaded onto the boat and are departing for Port Douglas. It is a 30 hour trip approx. When the get back to stateside and rested they will handle all the questions on the logs and update the donors list. They had 61K+ QSOs excluding dupes. They are all worn out and sleeping. Hopefully it will be a smooth trip back. They are already wanting to go on another outing. HI. Next year. This is first major trip for this group as a whole. November 23 0015 - Rough seas and expected to get worse, so we're expediting our station break down. 2 stations going off the air within an hour. We'll reevaluate in a few hours, but current plans are to keep two stations on the air through the night with QRT at first light tomorrow - around 2200UTC. Novermber 22 2200 - They say about 24 hours left. QRT sometime after sunrise tomorrow 1915 GMT> 4 stations for maybe 8-10 hours and then down to 2 stations. The condition of the seas for departure witl affect how quickly teardown is done. I would not expect to see any more 160. Possibly some 80 SSB and CW plus 40 CW well after their sunset. They are very close to 60 K QSOs and should make that with no problem. November 21 0200 - They are trying to repair the 160 antenna to try in the morning but I am not sure of the present status. If I hear further info I will pass along. November 20 0430 - They are having a lot of problems with antennas with winds and salt spray. They plan to use 12 and 17 M to do a lot of ALL TIME NEW ONE while the SS is in session this weekend to avoid conflicts with the contest. I assume both modes but will get more info. They are not sure if the 160 ant is repairable. November 19 2130 - This is from Jared N7SMI at VK9WA - 5 of 7 antennas were damaged last night due to corrosion and wind, guy lines, or the antenna itself, . Much down time for repairs (and a bit of much needed sleep). Winds are starting to subside a bit. Going to work 20m RTTY for as long as we can. It typically goes dead in a few hours - which is really odd to me. Probably won't do RTTY much on other bands than 30, 20, and 15 - 90% the same people logged when we change bands. Rob has 10 going to NA again now that all antennas are back online - except TB - a turtle did a real number on that one so not sure of status until this afternoon. I made a note of the ZS opening, and will also try for UK on 10m at 0900 if open. November 19 1200 GMT - They had radar noise in the xmit area 3524 this morning and had to shift the QSX freq to 3560 to get away from it. November 18 2300 GMT - Unfortunately they had 4 antennas break during the night time which they had to repair in the dark to remain on the air. This made them late getting to 80 M for EC. They are going to try again in the morning start 10 GMT. They will try 30,40 starting after 08, their sunset. Still having trouble hearing on 160 due to QRN being the start of summer on their end. They plan to do more RTTY tomorrow. They are at 32 K QSO right now. November 18 0400 GMT - They said tonight they would get on 30 and 40 around their sunset which is 0815 and by 1000 try 80 and 160. If they cannot work anyone on 160 they will revert to 80 and 40. They promise RTTY tomorrow on some bands. 3 hours ago the were at 26 K QSO. They will be there up to around Sunday so at least 4 or 5 days to go and will try to get exact departure time. They plan to tear down all but 2 stations the afternoon prior to leaving and leave 2 stations to run overnight. To repeat myself, 19-23 GMT they are coming via longpath to the US on 17 and 20 and via short path on 15, 12, and 10. They are using verticals and do have one 2 ele yagi so the verticals pick the propagation path. November 18 0015 GMT - Sorry they did not make it to RTTY today at least for east coast. They are still planning RTTY soon so stay tuned. They had some confusion on 80 M CW and later 17 M SSB with the wrong VFO being used to tune with but have it under control now. They have corrected the 15 M log from several days ago where SSB QSOs were put in as CW. They are over 24 K QSO at 2000 GMT. Signals into SA and southern AF have not been good. November 17 1530 GMT - They plan to get one or two stations onto RTTY today. They apparently were having some issues on the low bands this morning but not sure exactly what was going on. They were on 20 and 17 M long path to the USA yesterday and 12 and 10 M short path during the 19-23 GMT time frame. Hopefully they will get the low band situation fixed. Novermber 17 0400 GMT - They believe the problem with the low band rx antenna system was a bad preamp.. Antenna checks out so they hope to be trying 160 some tonight. 1827 will be the new frequency due to reports of birdies on 1825. They will listen up for all but JA which they will listen down when indicated. If the rx antenna is okay then they should also hear better on 80 also. Everything seems to be running okay and still trying to keep continents balanced QSO wise. Novermber 16 1200 GMT - . They reported that the receive antenna for 160 is not working and will have to wait until daylight to see what the problem might be. November 15 2200 GMT -They have the 160 antenna and receive antenna system installed now and hope to be on every day forward. For NA/SA watch 10-13 GMT. I'm sure they have some times for EU and JA but have not received anything to post on that. They will adjust times accordingly. They have had some antenna damage that they have been able to repair. It is extremely hot with lots of bird guano. There was a log error it appears from 11/14, 2300 to possibly 0100.. 15 M SSB QSOs were entered as CW. They will clear all of that up when they return if not before. Everything seems to be running smoothly. They are keeping Clublog updated twice a day when possible. Their Statistics on Clublog show fairly even percentages on the main continental areas, AS, EU, and NA. Novermber 14 2000 GMT - . They have been on about 12 hours now and everything running good. They have had good sigs on the bands I have heard them, 40,30, 20 and 12. They are working on the 160 M antenna and a low band receive antenna. Also a 2 ele yagi to supplement their SteppIR verticals. November 14 0400 GMT - All equipment is ashore, tents up, generators all operational. Presently putting up antennas and plan to be operational with all 4 stations after their sundown. They will work on the 80 and 160 antennas tomorrow. November 13 2130 GMT - The group has arrived Middle Cay and having breakfast . They will be off loading shortly and will take about 22 trips in the dinghy. Trip was smooth getting out there. They do not plan to get on until most all the stations are set up. I would think they would work until around their dark, sunset being around 0800 GMT. They should be able to make a lot of headway by then. November 12 1030 GMT - Just wanted to let you know that we will be underway in an hour and a half. The MV Phoenix is loaded and we are ready to sail. Team is having dinner in Port Douglas prior to sailing. We have setup a CrankIR on the boat and plan to run maritime mobile 100W with our own personal calls during our 30 hour boat ride over. Take care and look forward to a successful expedition. November 12 - The charter boat is sending a truck down to Cairns, to take our supplies back up to Port Douglas tomorrow at 1pm local time. After loading the truck , the team will board a charter bus at 2pm local to Port Douglas. Port Douglas is about an hour north of Cairns. Upon arriving in Port Douglas, we will load up the boat with supplies. Expected departure to Middle Islet is still on track for 10pm. November 11 - The team has all arrived safely in Australia, as well as all our gear. Spent a good part of the day procuring the last of our equipment. We also worked on putting together a mast to support for the 2el SteppIR yagi. We plan to stage some of our equipment tomorrow , as well as obtaining/procuring the last of our equipment. November 4 - Rob, N7QT and some of the other Pacific Northwest group will be departing for Australia on Friday afternoon. All of the group is excited about the trip. They have corrected problems on the 160 M antenna that Rob used while on E51. 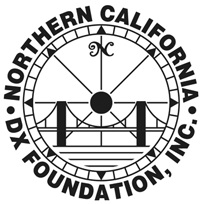 September 16 - We're thrilled to announce that we've been awarded a significant grant from the Northern California DX Foundation. For 42 years the NCDXF has been helping DXpeditions like ours become a reality. September 1 - K6TU has opened his excellent propagation site to support free VK9WA forecasts. Go check it out for your location! And let's hope the sun cooperates in November! July 17 - Our eight man team is now complete. Fund-raising and planning continue. 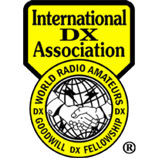 We're grateful for significant sponsorships by INDEXA and the German DX Foundation. We're happy to announce a partnership with Tangaroa Blue Foundation and the Australian Marine Debris Initiative, in conjunction with Parks Australia and the Department of the Environment, to conduct an island cleanup and debris inventory of Middle Cay. This cleanup and our ecology and animal reports will provide valuable data and help protect the many sensitive and threatened species of Willis Island.